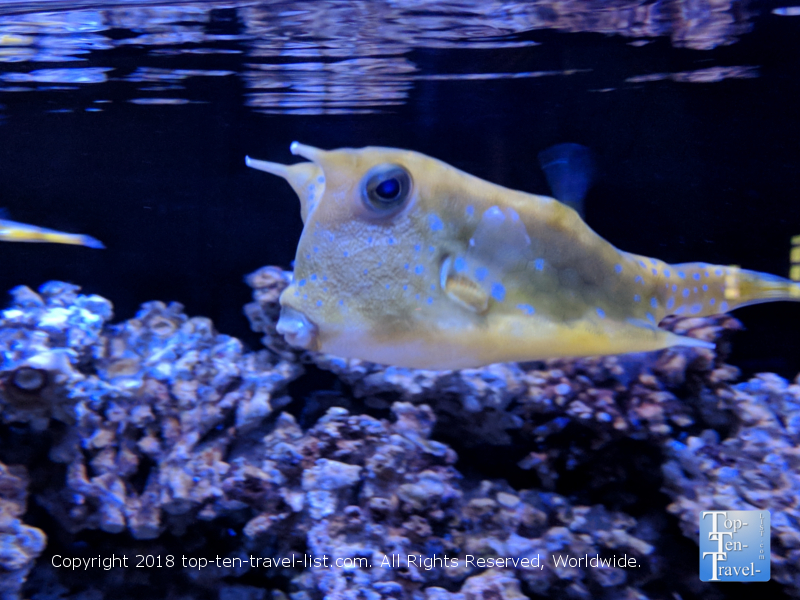 Visiting the Country's Newest Aquarium: The OdySea in Scottsdale, AZ - Top Ten Travel Blog | Our experiences traveling throughout the US. 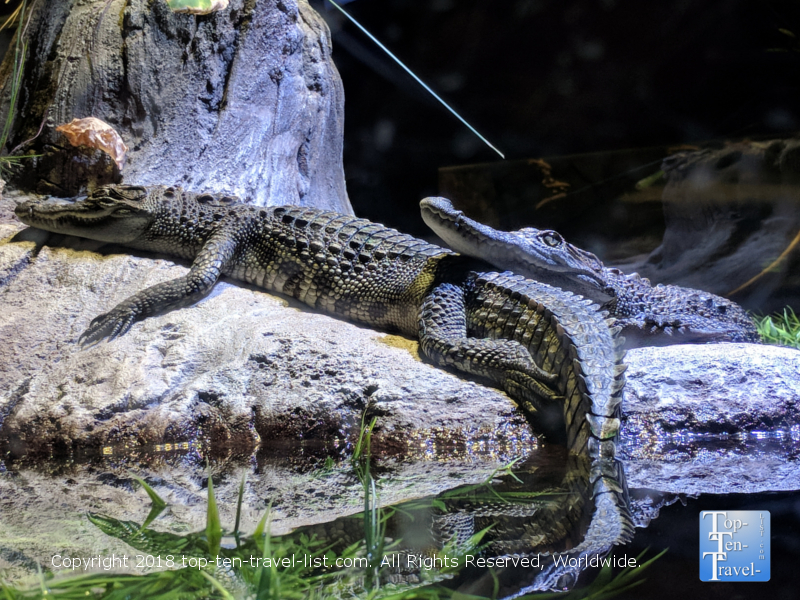 While most of us are more familiar with the top rated aquariums like Chicago’s Shedd or Central California’s Monterey Bay Aquarium, there are wonderful aquariums to visit all over the country, not just in the bigger cities or coastal areas. One really odd place where you would never think to explore marine life is smack dab in the middle of the Sonoran desert. 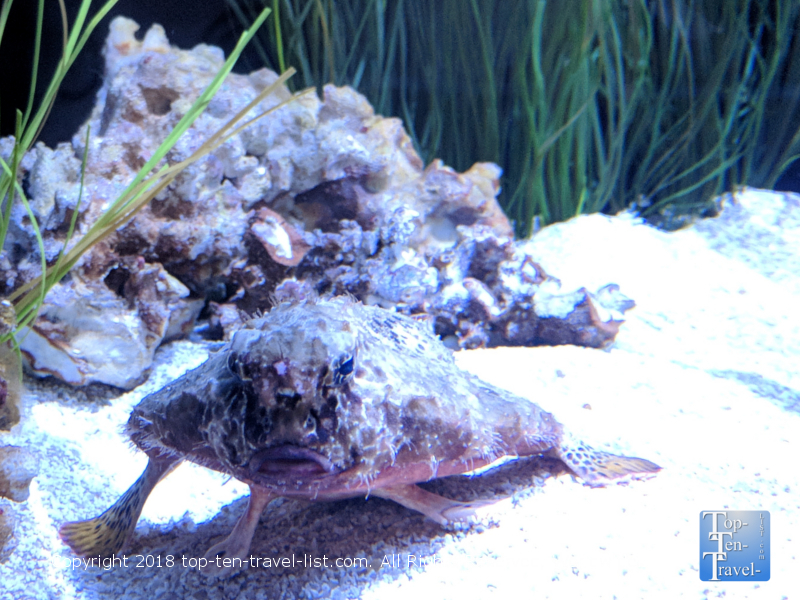 Surprisingly, the recently opened OdySea Aquarium (opened in September 2016) in Scottsdale, Arizona, is pretty great considering that it is located right in the middle of the country’s most arid metro area. 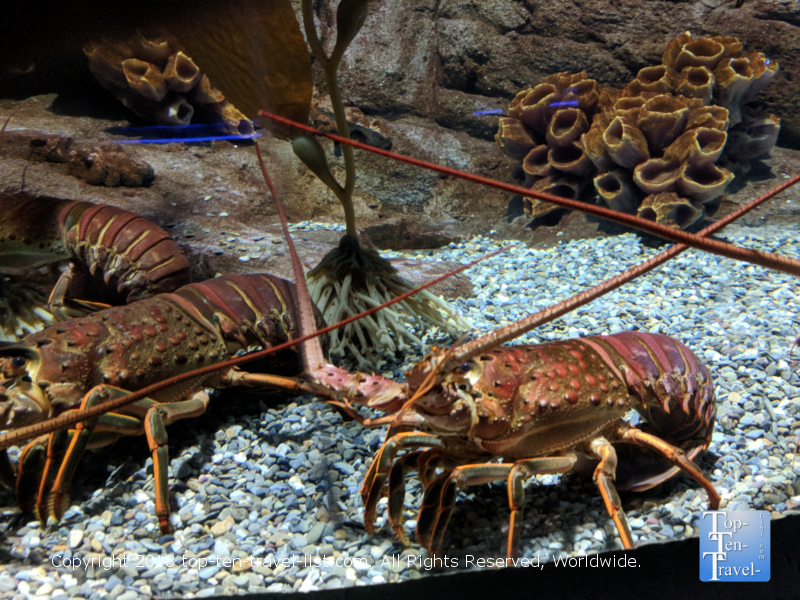 The OdySea aquarium is the newest in the country and it shows. 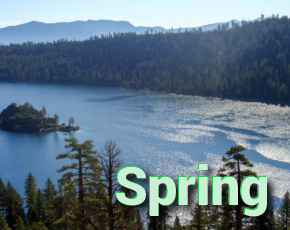 The massive 2 floor facility, which holds over 2 million gallons of water, is the largest in the Southwest. 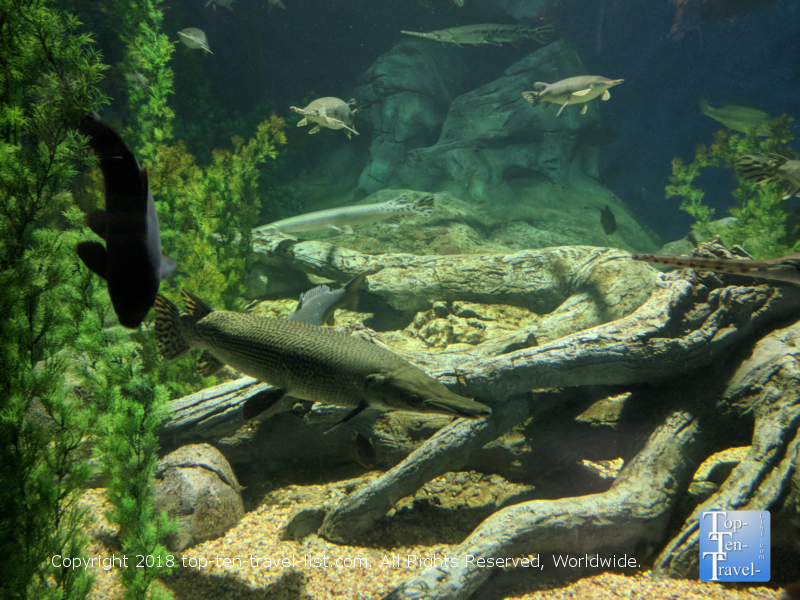 The space is beautiful and clean and the tanks are all meticulously maintained. 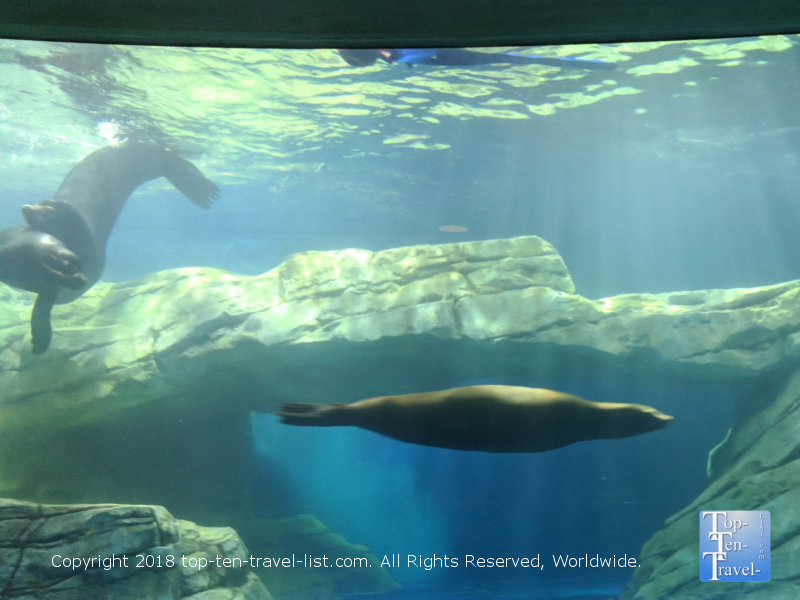 A lot of people complain about ticket pricing being too high, although the aquarium really is top knotch with lot of great exhibits to justify the steep price. You also have to keep in mind that we are lucky to have access to an aquarium of this magnitude in the middle of the desert. 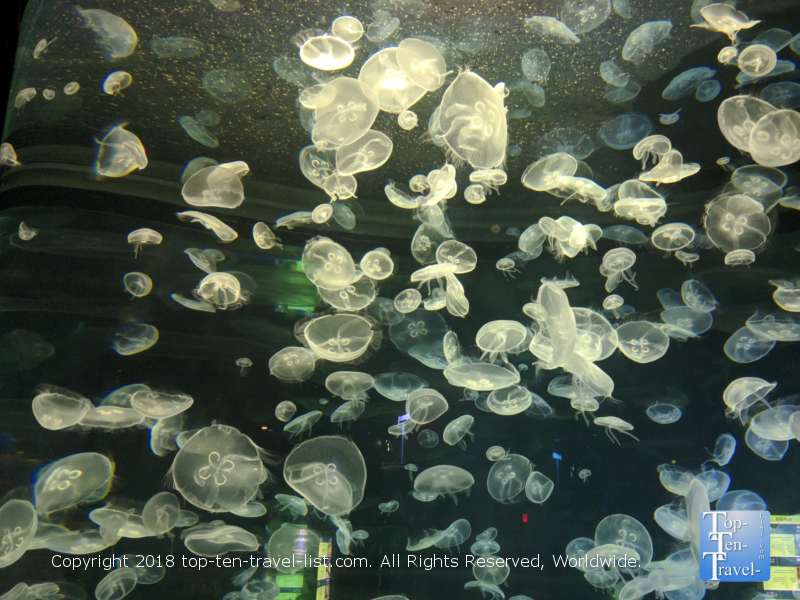 A visit to the aquarium is the perfect change of pace for anyone looking for more indoor attractions asides from the obvious shopping malls and restaurants lining every section of the metro area. In an area surrounded by congestion in every direction, it’s nice to have a peaceful escape from the clutter. While hiking is the best thing to do in the Phoenix area, this really is not a possibility during the 6+ months of harsh, unending 100+ degree heat. 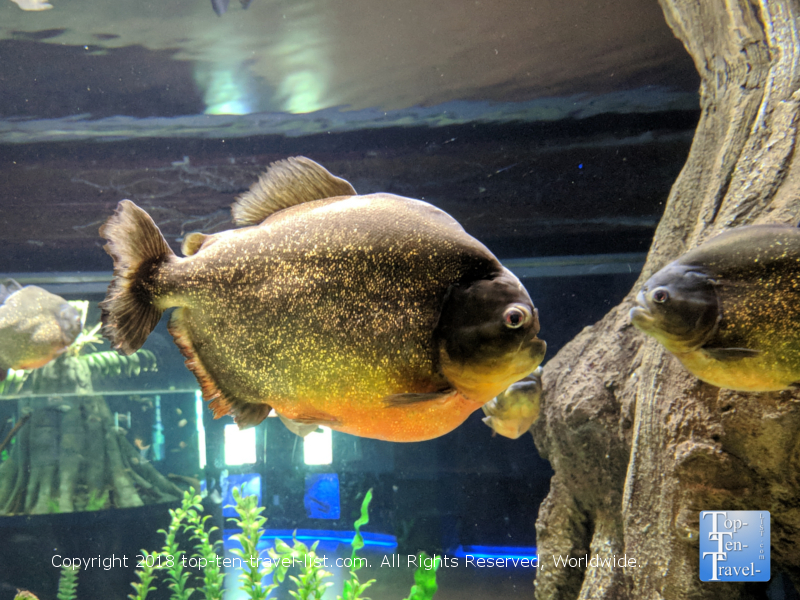 Therefore, a visit to this great aquarium comes in as a real treat during the hot summer season: a cool under water escape if just for an hour or 2. There a number of great exhibits to explore here. The lobby itself is gorgeous with 9 globes weighing 1000 lb each hanging overhead from the ceiling. These globe aquariums are meant to resemble rain drops in the water cycle. After checking in, you will be directed to check out the bathroom. You will be quite surprised when you walk in and will have no question as to why this was rated “the best restroom in America” in 2017. I will keep this oddball exhibit a surprise, although you can probably already guess what you will find in here. 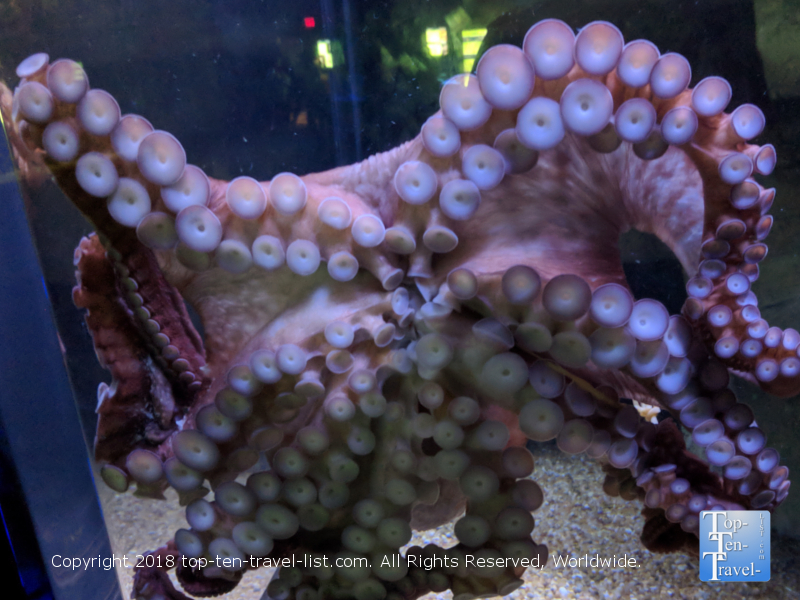 As you stroll through the numerous exhibits, you will take in an immense variety of marine life. One interesting exhibit is Penguin Point where you will get an upclose look at the African black-footed penguins swimming underwater. 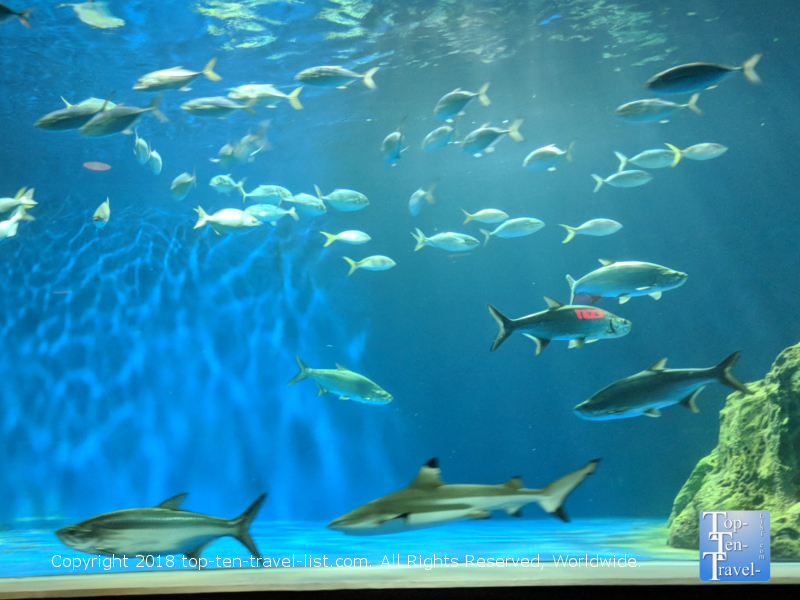 Another really cool feature is the escalator tunnel aquarium, which is a really interesting way to get from the top to bottom floor as you can gaze at the fish swimming all around as you make your way up/down the enclosed aquarium escalator. I’ve never seen anything like this before and have to admit it’s pretty fantastic. There is also a 3D show, and although the technology is just mediocre, the show is pretty interesting and educational, not to mention a great little break from walking around. 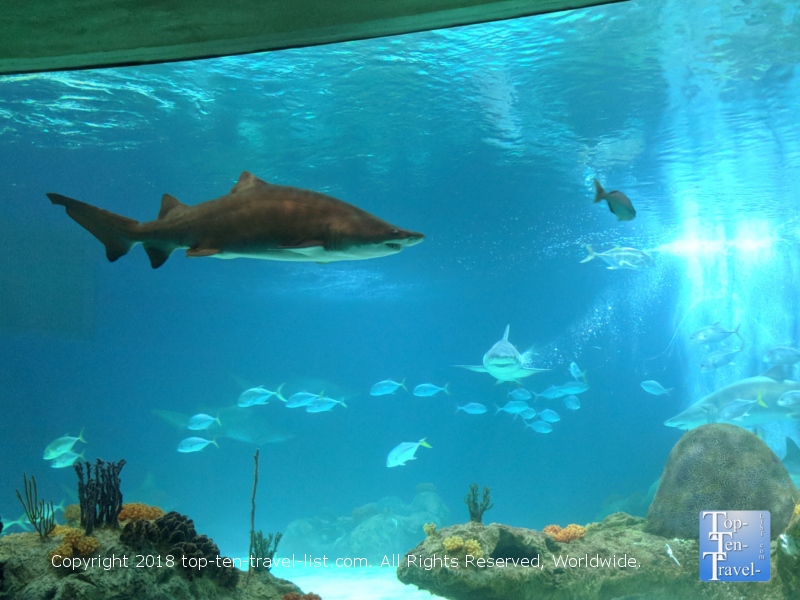 You will also find one of those fish tank tunnels which you might have seen at other aquariums, and although the one here is not nearly as impressive, it’s still pretty cool to walk through. 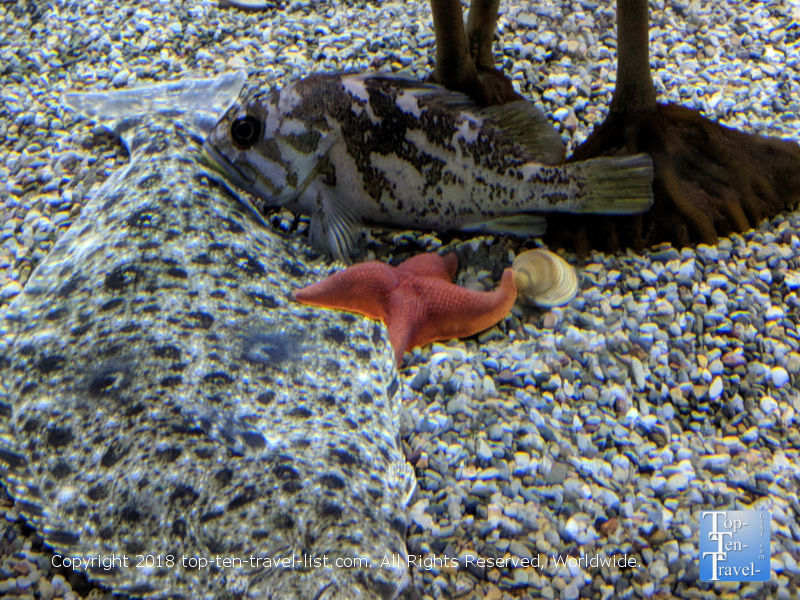 And look how this fish camouflages in with its’ environment! The newest addition to the facility is the “Odysea Voyager,” which is basically an interactive experience where you will take a seat aboard the Voyager Research Station’s submarine, a stadium theater style seating area with 46 foot tall viewing windows. 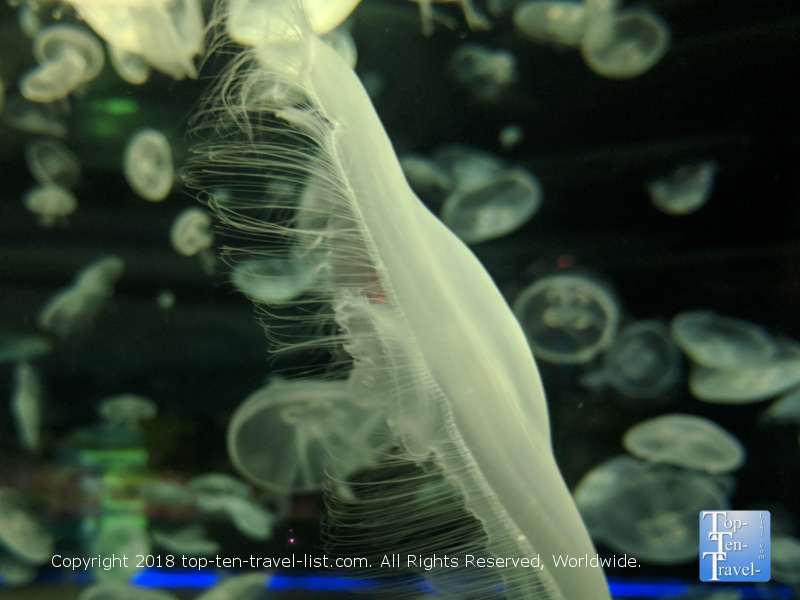 You will be taken on a narrated 20 min journey aboard the world’s only revolving aquarium experience, and I have to say it’s pretty spectacular. During this experience you will be taken through 4 different sections, each spotlighting different amazing marine life such as sharks, giant turtles, sea lions, and Broad Ways. It’s basically like an underwater show where you will learn a lot of unique facts about each ocean animal in the process. This is just a brief overview of some of the more interesting exhibits at Odysea. 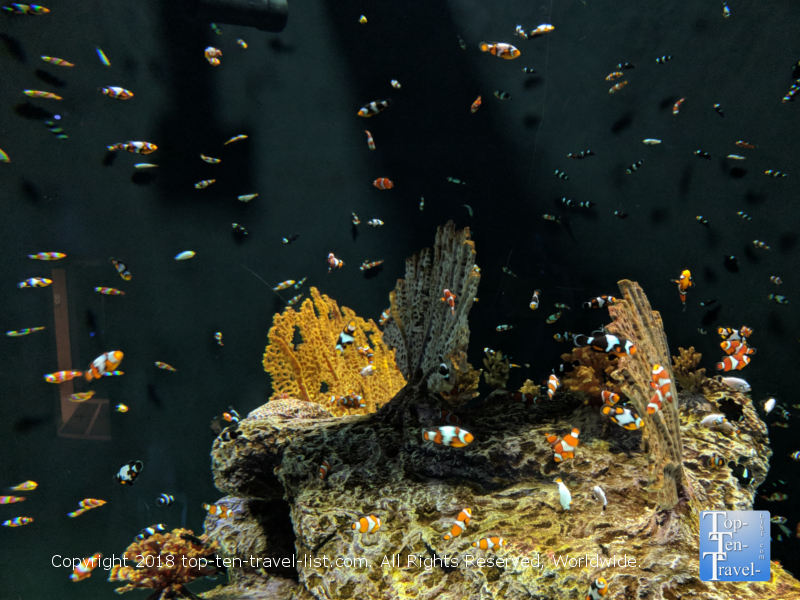 There’s lot more to see, and thus, this aquarium is worth a look if you are looking to escape the heat for a bit or relax with a non-hiking reality activity. 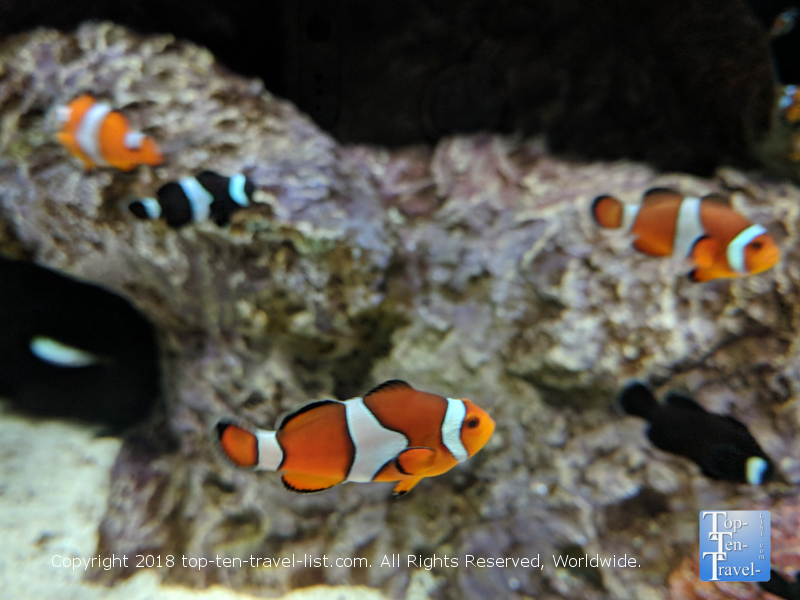 The peaceful nature of the Odysea, and really all aquariums in general, makes it the perfect place to escape the congestion of this ever growing suburban metropolis. I really recommend planning your visit on a weekday as it will be a much more peaceful experience due to the lack of crowds. 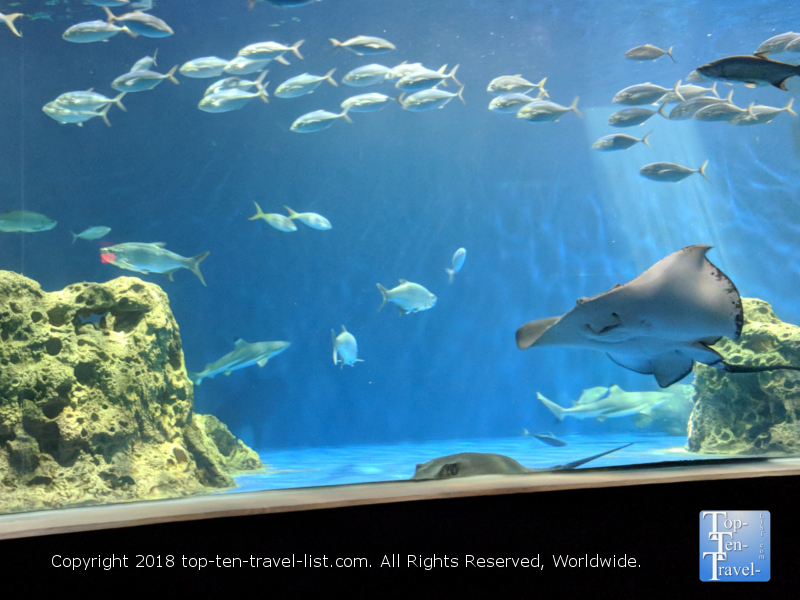 The greatest thing about visiting any aquarium is getting to see so many diverse types of aquatic life that would be simply impossible to see without traveling the world and/or spending tons of money scuba diving and snorkeling. 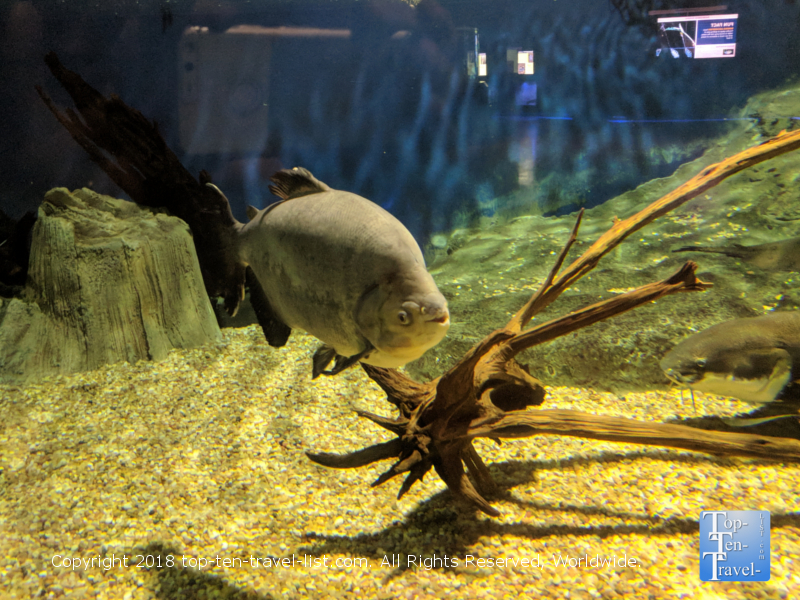 While the OdySea is far from the best aquarium around, it’s a nice find in the desert, as well as one of the best indoor attractions in the Phoenix metro area. 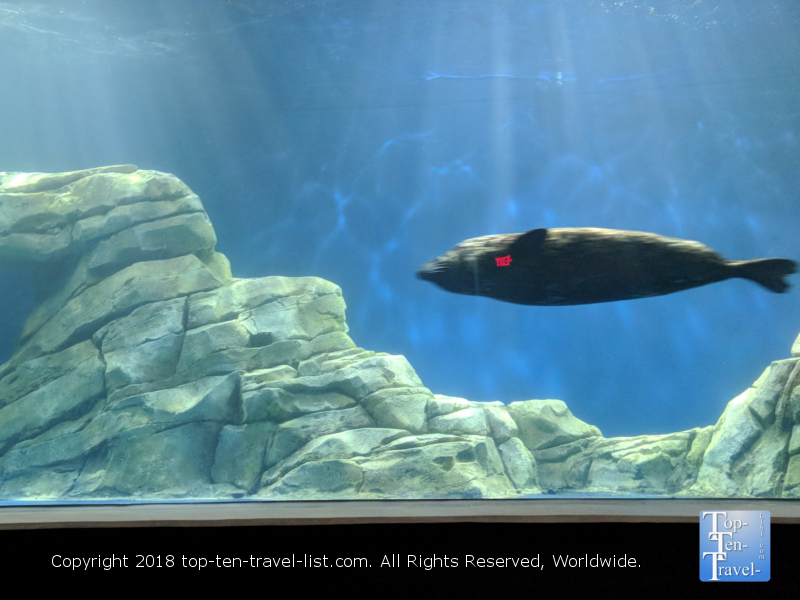 The OdySea Aquarium is located within the OdySea in the Desert entertainment complex, which consists of a number of attractions (Butterfly Wonderland, Dolphinaris, Pangaea Land of the Dinosaurs, Polar Play Ice Bar), restaurants, and shops. 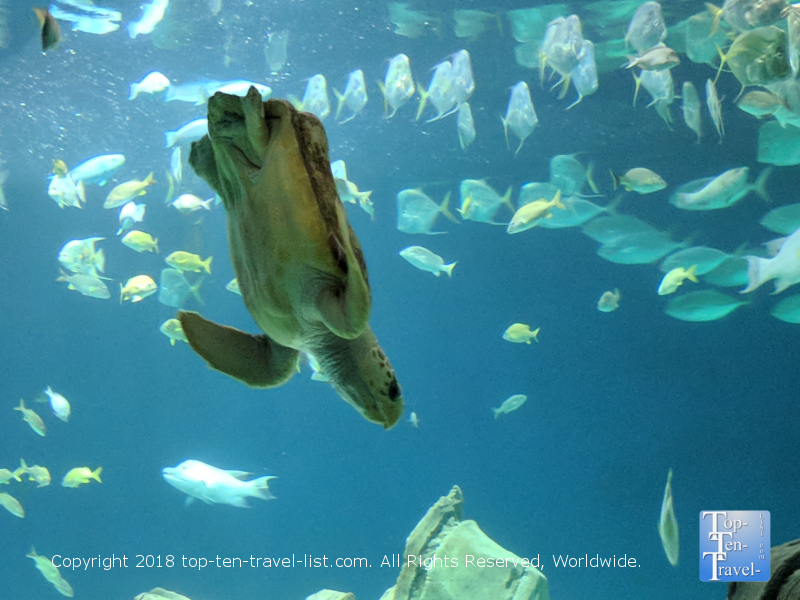 Most tourists like to take a walk around here and grab a bite to eat, shop, or check out another attraction after their aquarium visit. 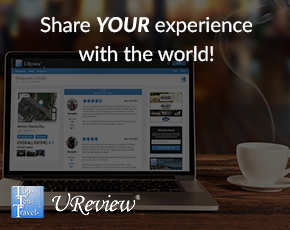 I recommend skipping the restaurants here and trying out a better restaurant in the Scottsdale area. For a wonderful breakfast in a nicer setting and an overall better value, check out Scramble or Butter’s Pancake House. For more fun things to do in Phoenix besides the obvious (shopping), take a look at my 25 must-do’s in Phoenix.